The water molecule is often described in school and undergraduate textbooks of as having four, approximately tetrahedrally arranged, sp3-hybridized electron pairs, two of which are associated with hydrogen atoms leaving the two remaining lone pairs. In a perfect tetrahedral arrangement the bond-bond, bond-lone pair and lone pair-lone pair angles would all be 109.47� and such tetrahedral bonding patterns are found in condensed phases such as hexagonal ice. Ab initio calculations on isolated molecules, however, do not confirm the presence of significant directed electron density where lone pairs are expected. The negative charge is more evenly concentrated along the line between where these lone pairs would have been expected, and lies closer to the center of the O-atom than the centers of positive charge on the hydrogen atoms. Early 5-point molecular models, with explicit negative charge where the lone pairs are purported to be, fared poorly in describing hydrogen bonding, but a recent TIP5P model shows some promise. Although there is no apparent consensus of opinion , such descriptions of substantial sp3-hybridized lone pairs in the isolated water molecule should perhaps be avoided, as an sp2-hybridized structure (plus a pz orbital) is indicated. 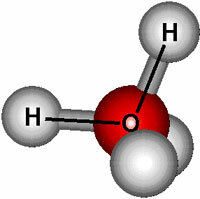 This rationalizes the formation of (almost planar) trigonal hydrogen bonding that can be found around some restricted sites in the hydration of proteins and where the numbers of hydrogen bond donors and acceptors are unequal. 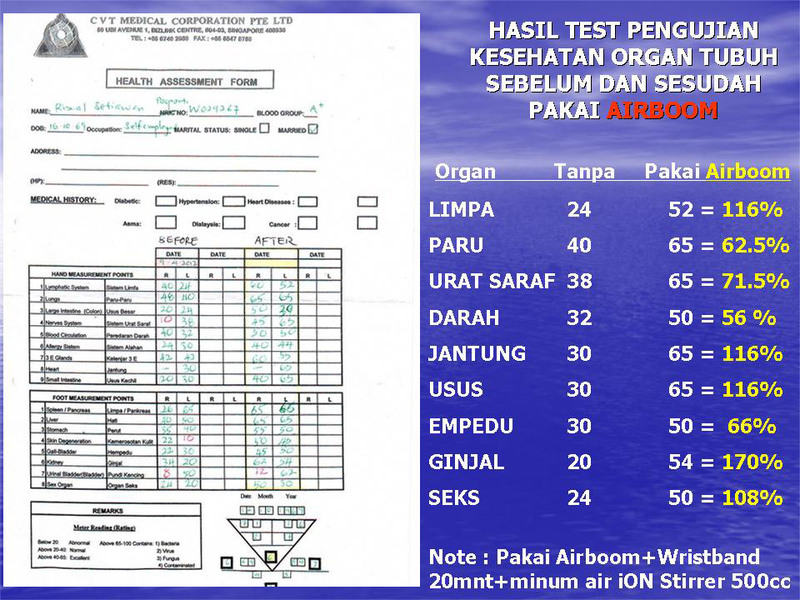 Another proven use airboom+ion stirrer increase health in 20 minute only. Anak saya Nurul sabrina Izzati mewakili sekolah pertandingan Tilawah Al-quran peringkat daerah Papar.pada 7 hb julai 2009..pada mulanya anak saya merasa takut dan gementar..untuk bertanding..sebagai seorang ayah ingin anaknya berjaya. saya terus bekalkan motivasi..dan menyarankan anak saya membawa 'Ion Stirrer' ke dalam poket baju sekolah masa bertanding.dan anak saya bertambah semangat..Dengan izin Allah tidak menduga anak saya JOHAN PAPAR dan juga JOHAN PERINGKAT PANTAI BARAT SELATAN. *DAN AKAN BERTANDING PADA BULAN NOV 2009 MASUK PERINGKAT NEGERI.saya amat gembira sekali dan mengucapkan jutaan terimakasih kepada syarikat Air-boom. I am Michael, ID# MY 28657, from Miri, Sarawak. I have just joined air-boom as a silver for few weeks. Last two days, I have faced ulser in my mouth. So, I tried putting the �Ion Stirrer into my mouth� . In two days time, I felt much more better. Thanks for Nano! The products have given me much help in my daily life. And now I don�t need to always depends on medication. I will continue to tell people about Nano!